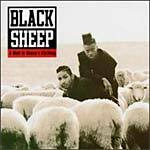 Classic album from Black sheep. The album that brought you ''The Choice is Yours'', ''Flavor of the Month'' and ''Strobelight Honeys''. Reissued in 2014 on 2xLP with 2 bonus tracks.